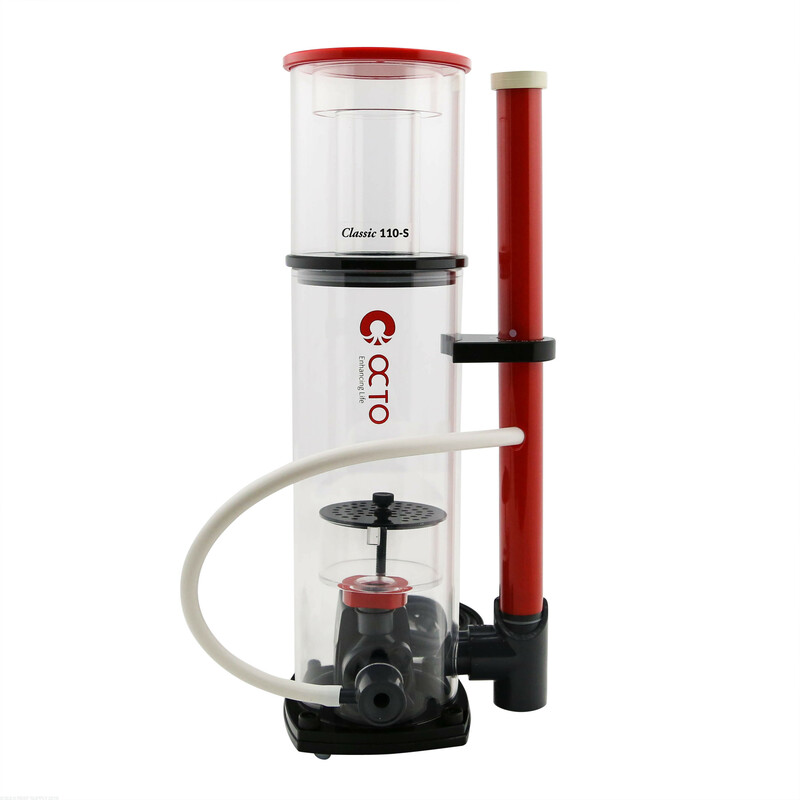 Recommended sump water height: 7"-8"
The sleek and compact Reef Octopus Classic 110SSS in-sump protein skimmer supplies powerful filtration for aquarium systems up to 120 gallons where sump space may be limited. 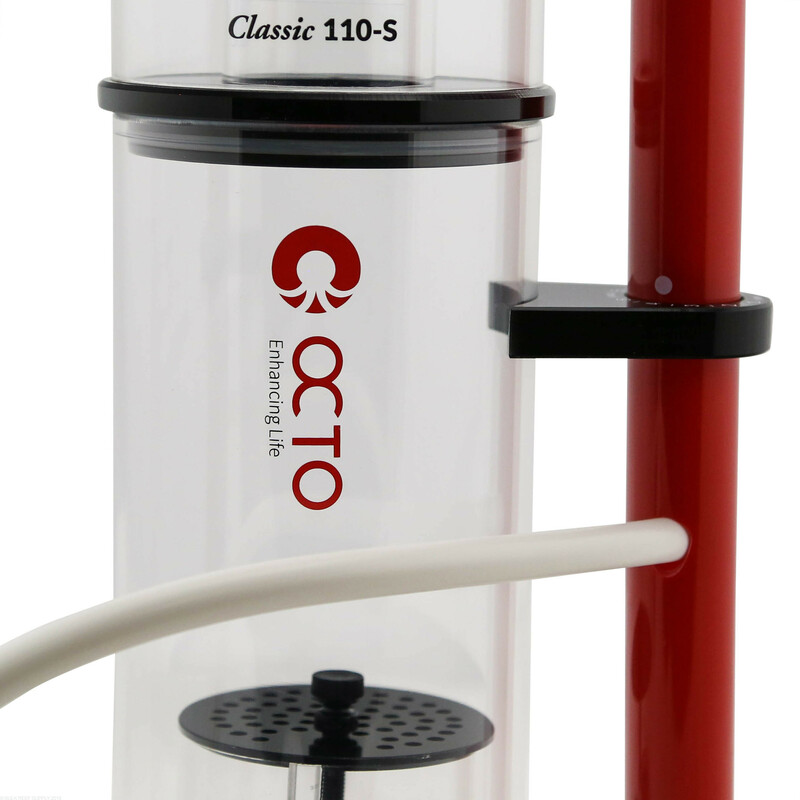 The Reef Octopus Classic 110SSS is constructed of high-quality acrylic that can be completely disassembled for cleaning. 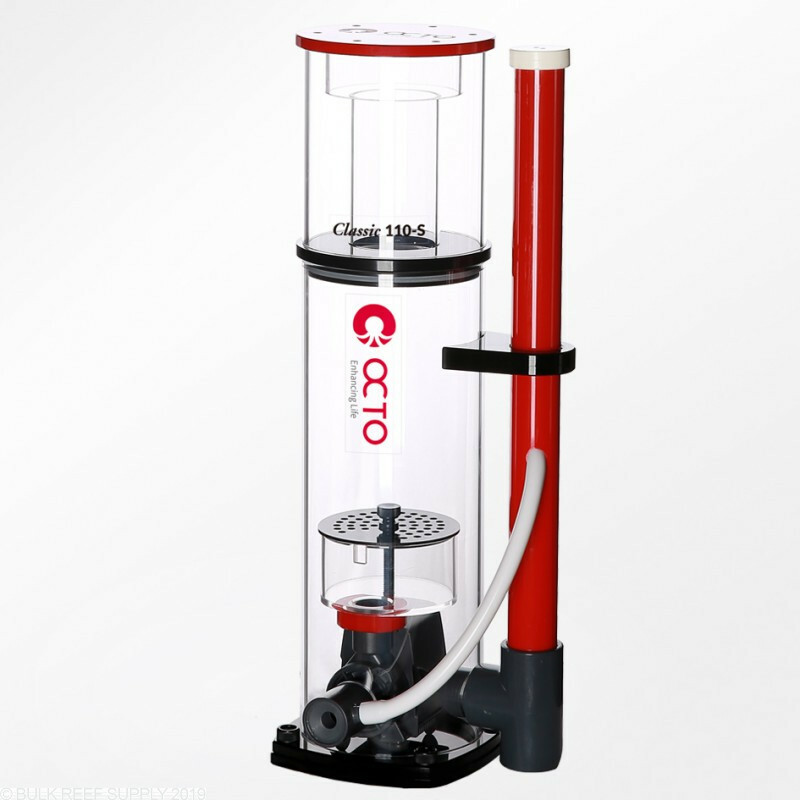 Equipped with the new Aquatrance pinwheel pump, it produces an ideal mix of water and air for optimum waste removal. 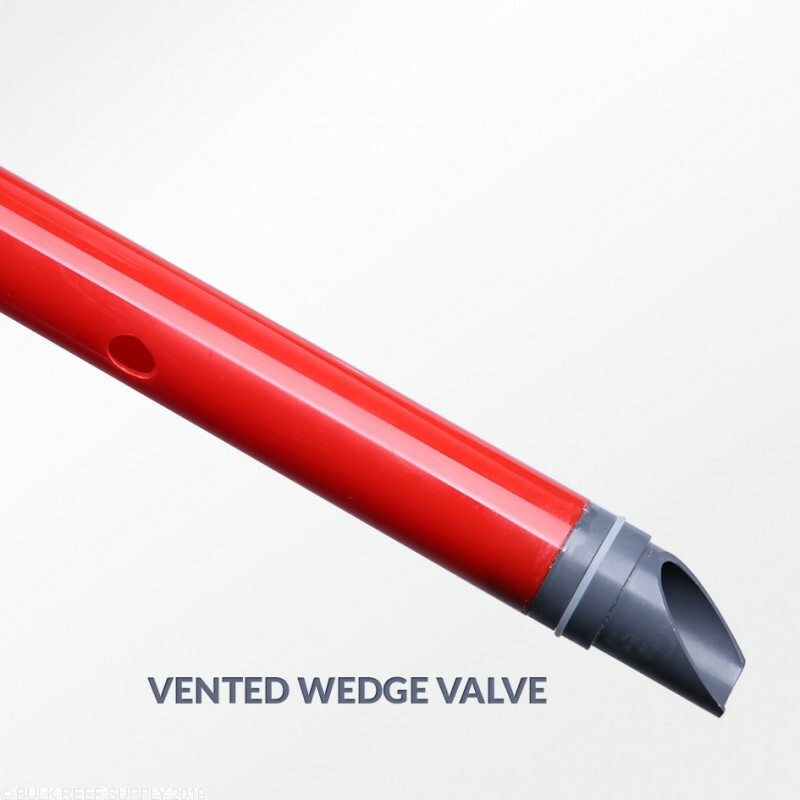 A simple vented wedge valve output provides precision control and allows cleaned water to exit the skimmer below water for quiet operation. 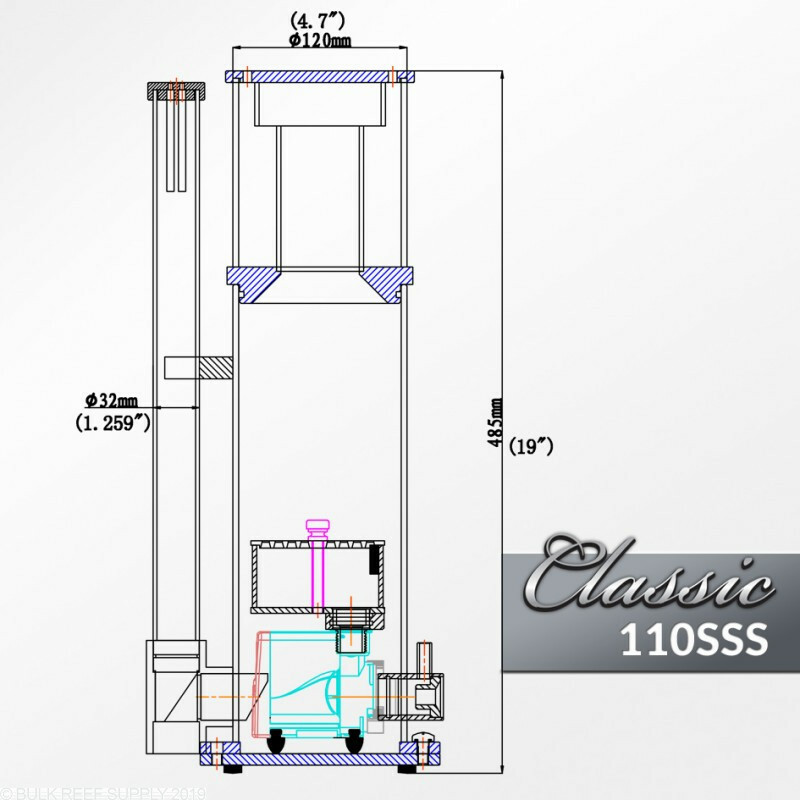 Also available in the Larger Classic 150SSS model. 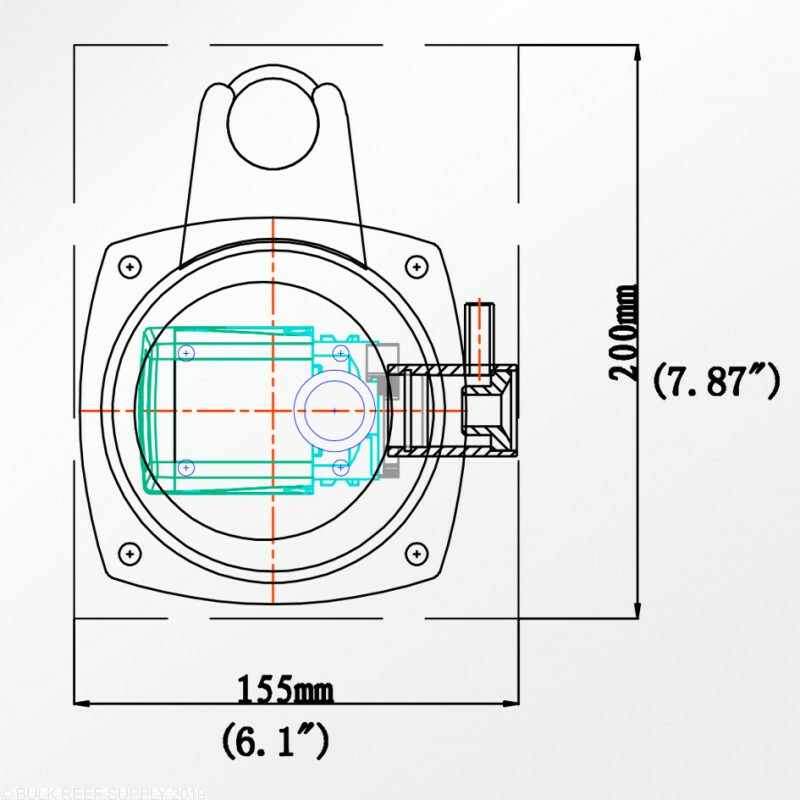 Internal model designed for in-sump use only. No feed pump required, the skimmer draws water directly from sump. Had this skimmer for about 7 months now and can say that I have had no problems at all. 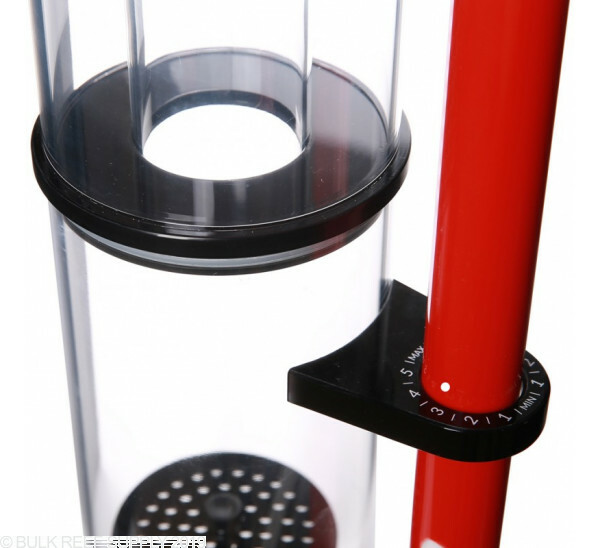 Just keep the bubbles about half way in the upper tube, the junk will ride the bubbles up and over, but you must keep the water level in the sump where the skimmer is, at the same level ALL the time or the bubbles height will change in this tube and you will be adjusting it constantly. I use Neptunes ATO so the optical sensors keep my level spot on. To break in the skimmer, I put a piece of masking tape over the top white air cap, adjusted the bubbles just visible in the upper tube, and as it broke in, I would use a sewing needle to make one tiny hole as needed u till eventually I could take the tape of and adjust. A good product overall. Works well. Pulls skim etc. I would definetly reccomend it. Only downside is tuning it sometimes is tough. I have it in the right depth of water, but sometimes the water wont rise all the way up into the neck of the skimmer. I have to put tape on the holes on top so that the bubbles rise higher. I've had this skimmer for 3 years. For the price it is OK. Here are some issues I've had with it. It is difficult to keep dialed in and I had to constantly tweak it to keep it skimming. One of the nylon screws on the base broke. The pump started having trouble after about 2 years and either wouldn't start after being unplugged or would spontaneously stop running. The collection cup fit unnecessarily tight; I had to use a small plastic pry tool (the ones you use to disassemble car interiors with) to pry the cup off to clean it which was a real pain. 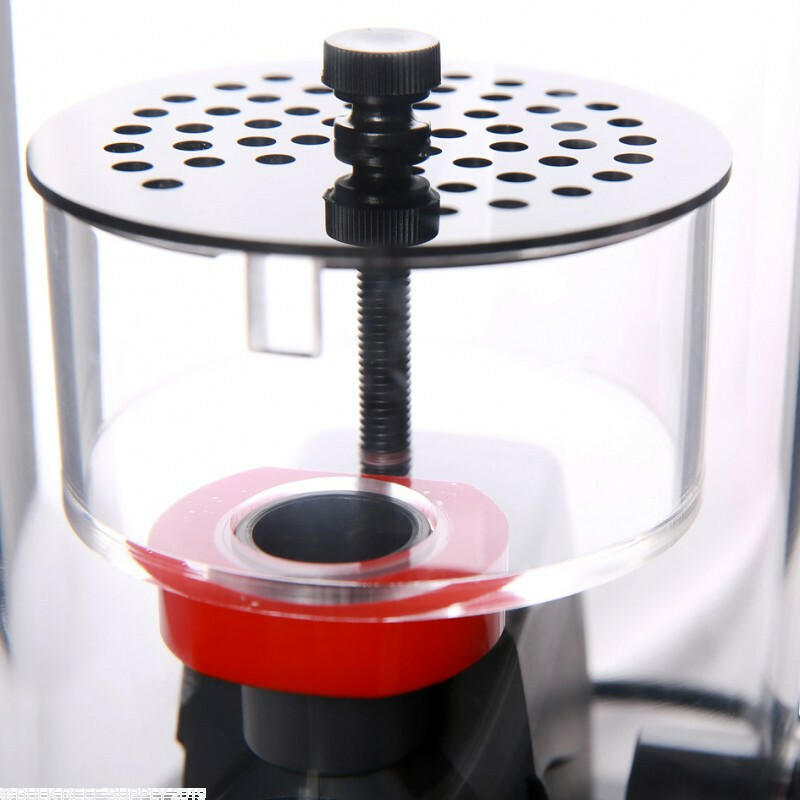 I had to push down so hard to get the cup back on that I was afraid I would break the glass on the bottom of the sump. The collection cup is pretty small so I was thinking of installing a small drain line and external collection reservoir but instead I eventually pulled the skimmer out and stopped using it. I did a lot of research on skimmers before I decided on this one. I have not been disappointed. My water is clean and my fish are happy. The directions were a little vague but its not that hard to figure out. It has 5 screws and a pump, its not that hard. 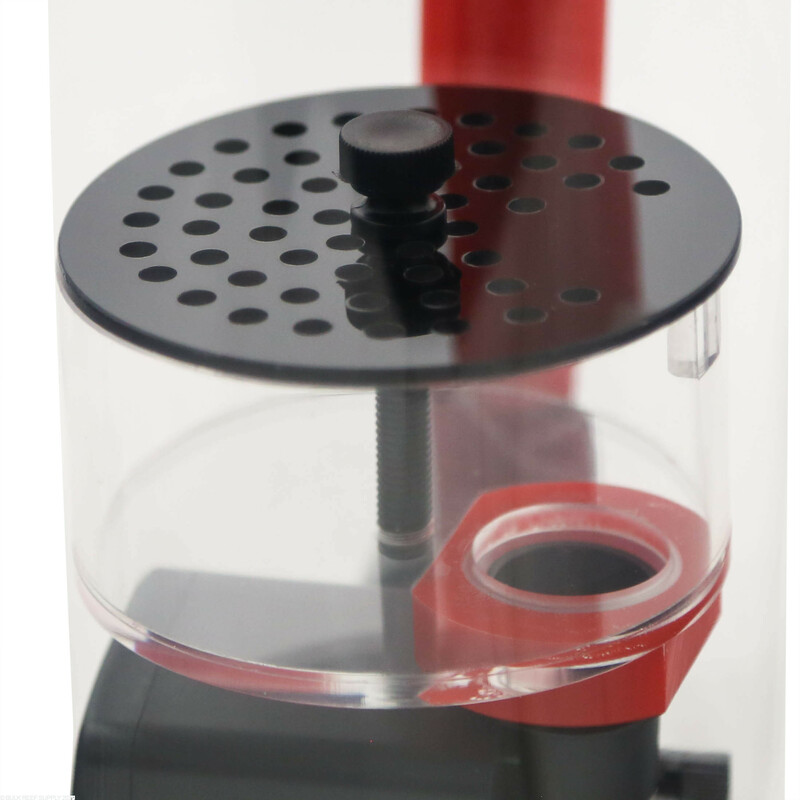 You wont be disappointed and your tank will be happy with this skimmer. I have a 54 Gallon Bowfront reef tank. I had it for 7 months and never had a skimmer and had no issues. I had been adding fish and corals and realized eventually everything would grow and start putting more nitrates in and might eventually pose a major problem. This set up was perfect for my sump since there is very little room. After getting it dialed in and after a couple of break in days it began to produce a good amount of skim mate. Great product, I highly recommend it! So I got the Octopus 110sss to fit in my Trigger Emerald 26 sump. Fits PERFECTLY! I had to assemble the red tube in the sump due to the tank stand being low, but no problems getting the cup off. Directions are poor, and so I went to Youtube to watch the video. The video is different then the one I was sent. Evidently its been upgraded, but the video has not. However, its super easy to install, and the video is good enough. Started skimming right away. Most say it takes 3 or 4 weeks to really dial in, so more later! I spent the extra money for the SSS and i'm glad i did. I have limited space in my sump and it has worked perfectly so far. Extremely quiet and has cleaned my tank so well. Looking forward to see what it can really do once my tank is fully stocked. 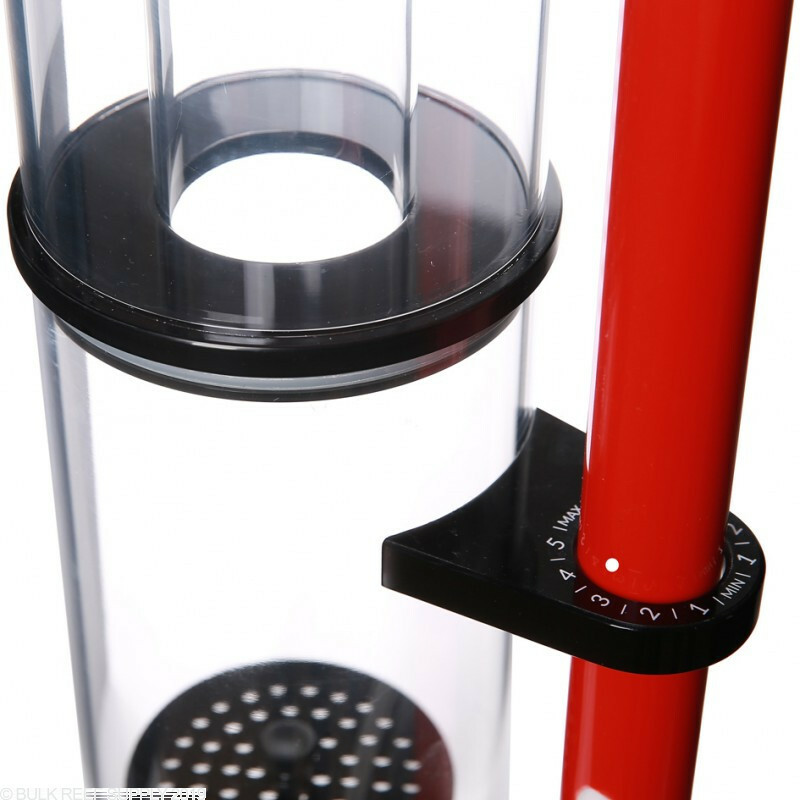 Excellent skimmer, extremely quiet and very compact. This skimmer isn't finicky or fancy, it doesn't have a special break in procedure. It just works well and very fast. Noise level is average and cannot be heard unless you open your cabinet and get close to it. I have zero complaints and will use Reef Octopus more often. This thing is dead quiet and works very well. I'm very happy with it. It's a little hard to put together with the provided instuctions. And the air line does not connect to anything, it just sits in the tube. This skimmer is essentially dead quiet and puts out great skimmate. I wanted to replace my Seaside CS5.5 because it frequently vibrated sporadically. The build quality is excellent too. 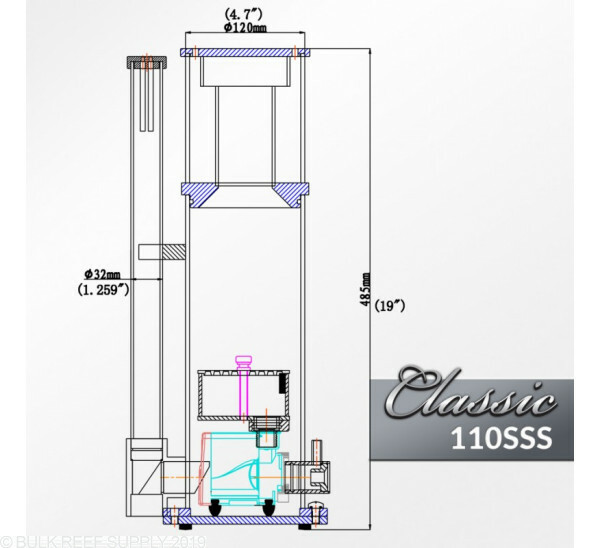 The 110 is a great option and will handle a very heavy bioload on a 40 gallon. Our return policy is new and unopened boxes. 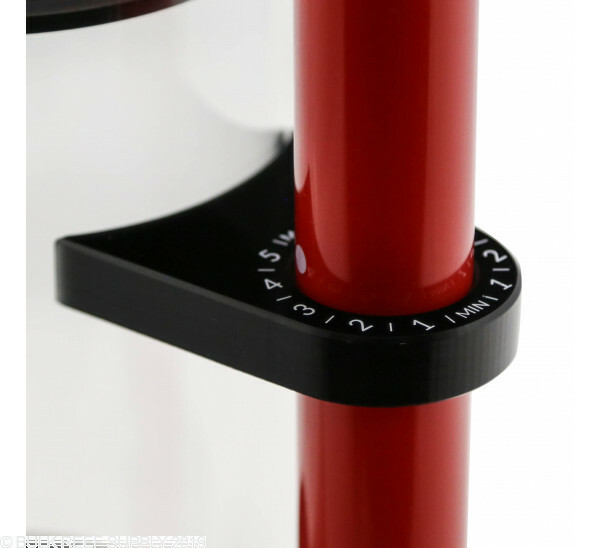 If the items have been opened unfortunately all warranty and support will be through Coralvue directly. Feel free to let us know if you have any further questions! 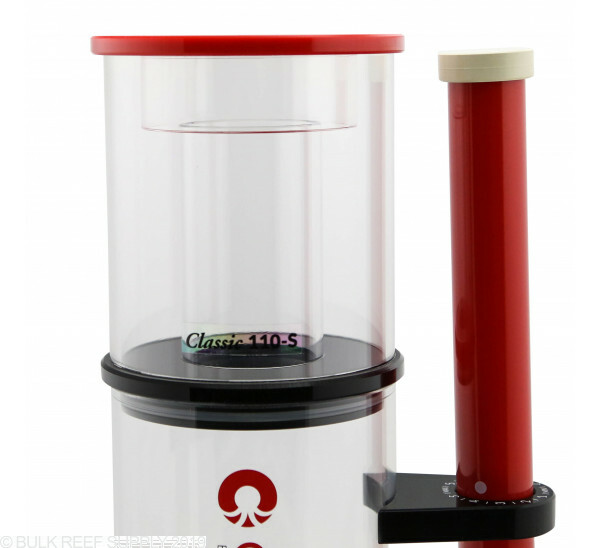 Are the reef octopus skimmers ozone safe? 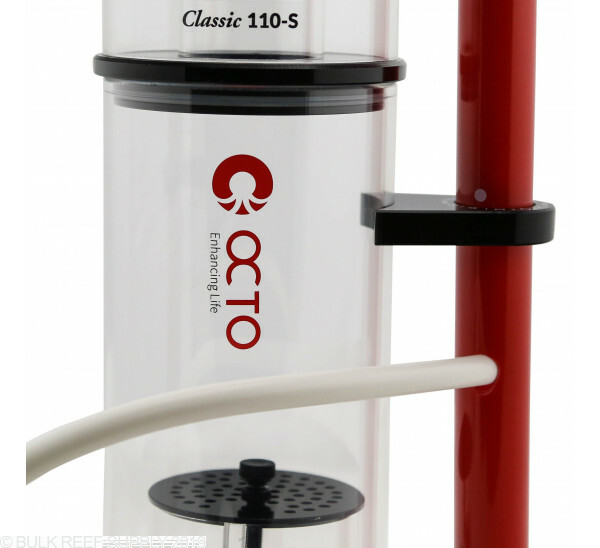 Reef Octopus skimmers are made of 100% ozone-safe materials. To avoid injury, you should research and take every precaution to properly inject and vent Ozone. For skimmers it is typically recommended for 10x your system volume. As low as 5x can still work will and will give slightly more contact time for any elements. Feel free to let us know if you have any further questions! My questing regards assembly. My tank is running and I want to add a protein skimmer. My sump is in the cabinet with limited space to maneuver a tall skimmer into the sump. 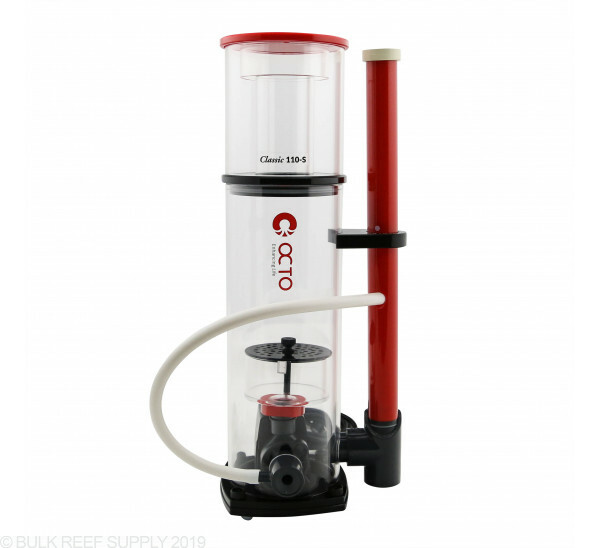 How much assembly is required for the Reef Octopus Classic 110SSS 5" Internal Space Saving Protein Skimmer, and is it possible to install piece by piece? 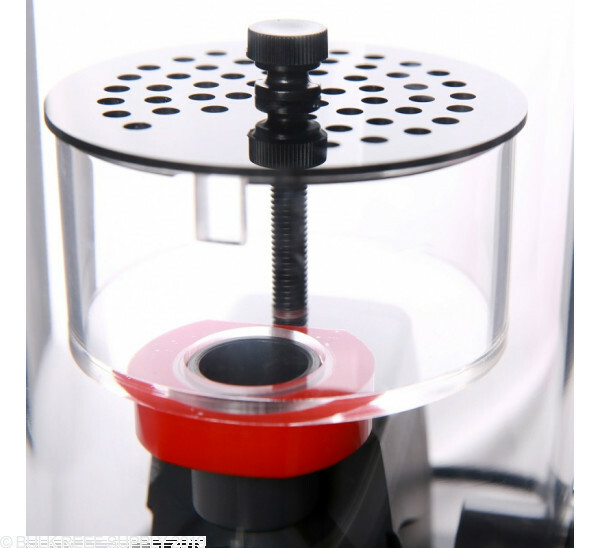 The skimmer is pre built from the body down, only the stand pipe and the collection cup. Feel free to let us know if you have any further questions. 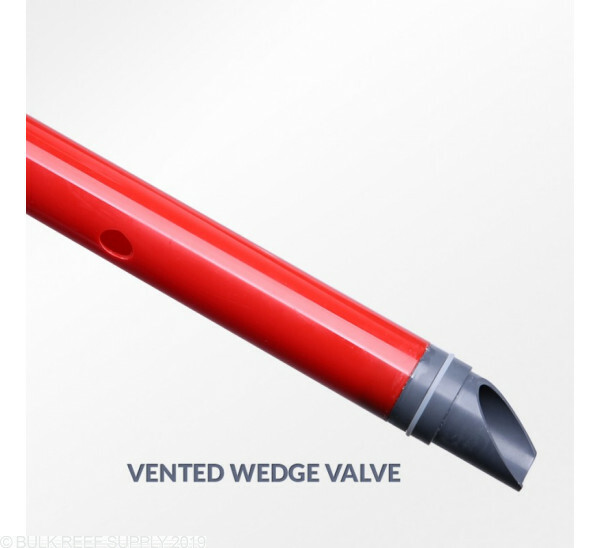 What cfm air pump is required? 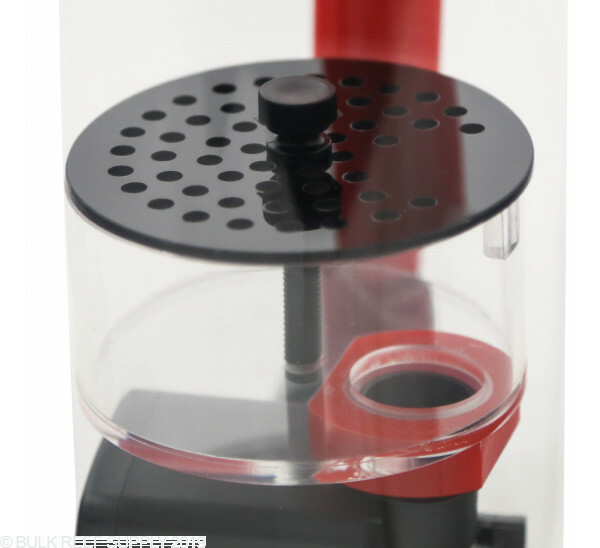 Does it need to accurately control the air flow rate? 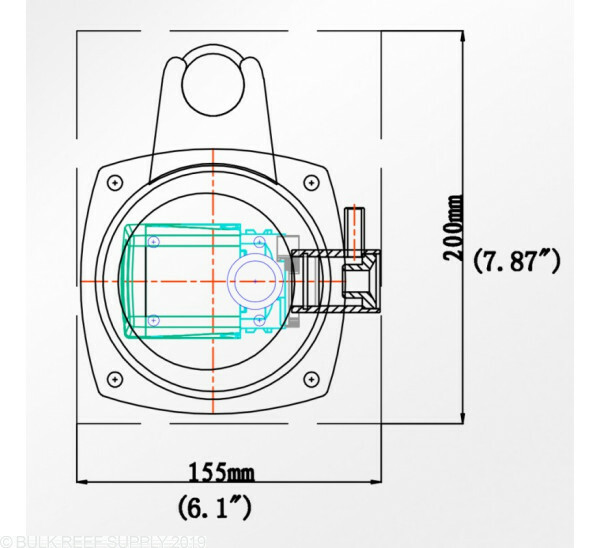 Does it require a water pump? How many GPM on the water pump? 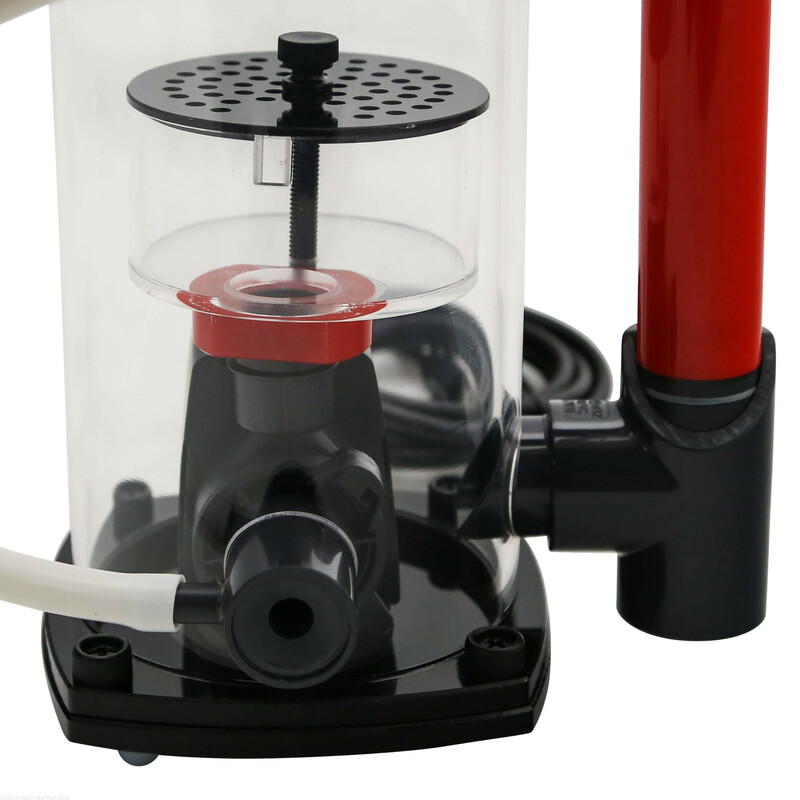 This skimmer model includes its own feed pump which is responsible for water turnover as well as air draw through venturi action. 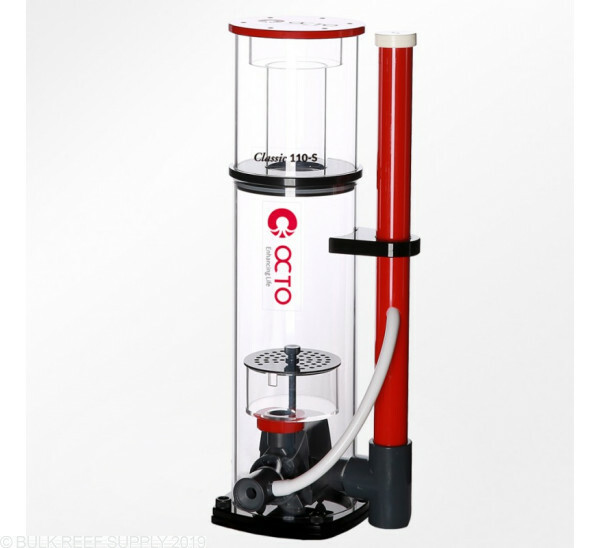 There is no need for a separate air pump or feed pump.